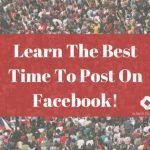 Home » How To Write A Traffic Generating Facebook Post! 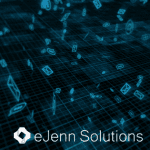 When the eJenn Solutions team is hired to do a social media audit with recommendations – we have the opportunity of looking at a lot of different Facebook pages. Some clients have tens of thousands of fans, some have just under a few hundred fans. The differences in industry range far in between too: Professional services, products, entertainment and events. Regardless of industry or product / service – we see the same mistake over and over. Not taking advantage of every post made! This can result in leaving money on the table! This is a common problem within all marketing – social media is “social” … but it’s also traffic and revenue generating. So, depending on your budget, your team, your time and your commitment – all these things change how you work on social sites. We decided to narrow down a checklist for everyone on the 3 questions you should ask when crafting the perfect Facebook post! 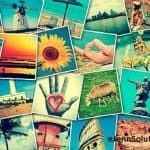 Following this checklist will result in more traffic from your social media posts. Today we focus on Facebook – but these questions can be applied to all social sites! 1. Is this post about or for my target market? — Never make posts about yourself unless it’s something that your demographic can relate to. No one likes “that guy” at the cocktail party who is always talking about himself. Don’t be that guy. Make everything about them! 2. Is there a call to action? — Should we “like”? Should we “share”? Is there something for me to do? – what should I do if I like what’s being said? Do I buy tickets, do I sign up for something? How can I buy that product RIGHT NOW? There should always be a direct link to an action you’d like your user to take. See example above. Are you making it easy for me to get what I want? – Sometimes it’s not always possible to create 1 click for the end user to reach the end goal…. that instant gratification for them. An example of this would be for email opt’ins … there is always an additional verification that should be done. (best practice) Confirming or verifying for opt-in’s carries more clicks. Beside this circumstance – always create the least amount of clicks for your end user to get right to the action. It’s proven that the more clicks you have to get to an end result – the more drop offs you get. Or you can read for yourself the Three-click rule of website design. We know incorporating these elements to your social media posts will help you tighten up those posts and generate more traffic and sales!